Good writers tell wonderful stories, they are also highly intelligent people and they make you see the world through a much better lens. I recall when I was a young actor living out in Hollywood and I was taking a Master Class in film acting taught by the great Beah Richards. I was working on a scene from a movie called, ‘A FUGITIVE KIND’ by Tennessee Williams a favorite writer. I was doing my scene for Beah Richards and my fellow workshop actors and when the scene was over there was great applause and I felt I had nailed my performance. she asked me about a line in the scene that really sounds like a fantasy. Marlon Brando spoke the line in the movie A FUGITIVE KIND. a kind of bird that has no legs? I was thinking, “What does that have to do with my fine performance? I smiled at Beah lovingly and as sweetly as I could I explained to her I did not know if there was in fact such a bird. I thought: “Come on Beah! Now you know damn well there is no such bird! I remembered how blessed I was to even be in Beah Richards class; when I auditioned to be in her class the first time I was accepted. I did not know until later that most actors would give up a Kidney to be in her class. When all of my actor friends found out I was studying with Beah they were in shock. I was just 21-years old and I was invited into her Master Class; her class was really for top tier film actors and so there I was with many famous actors and Beah paid much attention to me in front of them. So I went to the public library and began my search for this damned bird that had no legs. bird Tennessee Williams and Marlon Brando spoke of. I went past thousands and thousands of bird pictures and i think it was at book number 28 I found the bird. My eyes immediately filled up with water. It was one of the most beautiful discoveries of my life and in that instant I realized my acting would be taken to another level that I could never imagine. “Method Acting” teachers on the planet. Beah Richards was the best! I did not have before my discovery. The scene plays profoundly more romantic when the actor knows that bird exist. I have spoken to many, many actors and I’ve asked them did they believe there could be such a bird and everyone of them told me no. Eye saw the bird myself in all it’s beauty in flight no less; this bird is very, very small and it lives it’s whole life in the air, in flight and the only time it lands is when it dies. 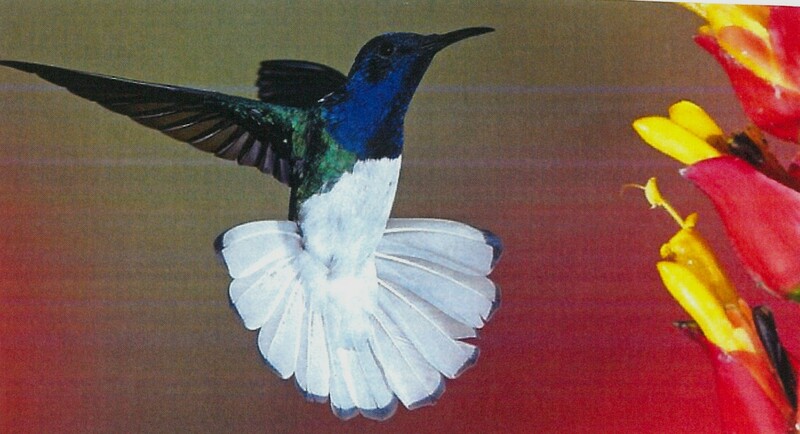 The bird is called a wild billed humming bird. Marlon Brando did the play as well on Broadway and it was called, ORPHESUS DESCENDING. May I suggest you take a look at the scene which is available @ YOUTUBE. Simply type in A BIRD THAT SLEEPS ON THE WIND. It is one of the most beautifully acted scenes ever captured on film. Bravo and touche’ , Brother Charles. Great texts coupled with great instructors make great actors. Next Next post: Forgive me, but I hate that damn tree! MICHEAUX PUBLISHING Create a free website or blog at WordPress.com.